Soon, students will return to school with many starting their college careers. Going off to school without a quality notebook seems unthinkable today. Below you’ll find a list of ten awesome notebook computers to take to school. Our roundup includes Mac, PC and Chromebooks. Some might balk at including the simple Chromebook, but a lot of colleges centralize their community around Google Docs and services. Now that Google added the Google Play Store a Chromebook becomes more useful than ever. Price serves as one of the key factors in categorizing this list. The roundup includes computers at every price level from the extreme high-end over $2,000 down to budget models intended for simple tasks. We start at the high-end with two computers for both Mac and PC fans. These are expensive and powerful. To save a little money, make sure you look into education discounts from resellers. Some say the design of the MacBook Pro is getting stale, but it’s a classic. It still packs a lot of power into a great laptop that will last and last if a student takes care of the system. This monster fits almost any student’s needs with plenty of power for every kind of computing task. It handles media creation for the music major and movie editor alike. Engineering and design students can run high-end software as well. Number crunchers in math and science will also find plenty of power. Every student will write papers, do presentations for class projects and surf the web for fun and research. Add some entertainment and gaming and you get a great all-around notebook. 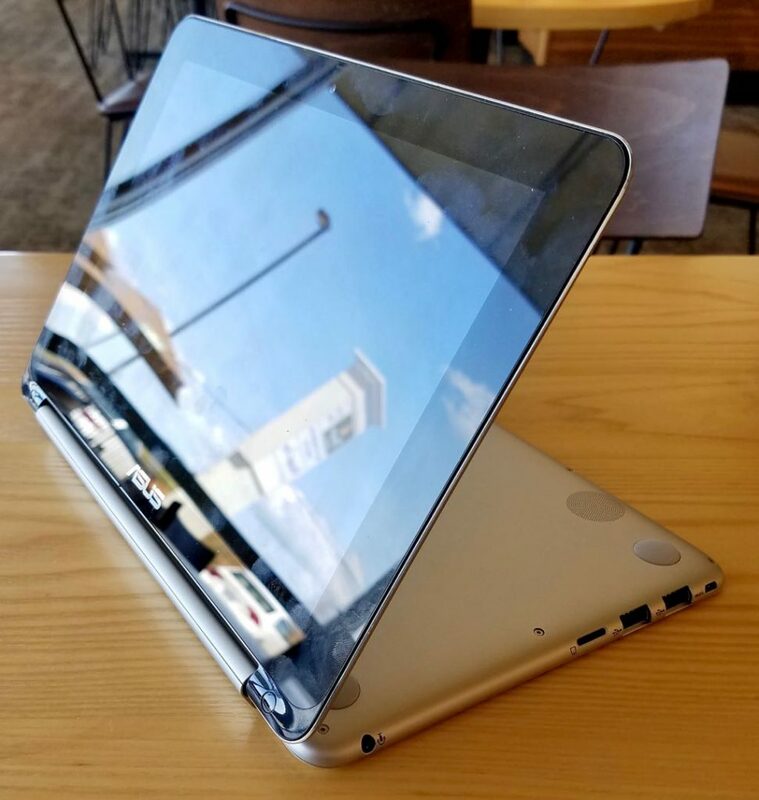 The larger 15-inch high-resolution Retina screen gives the student lots of room to work no matter their major course of study and the display looks awesome. Why it’s on the list: People love OS X and the Apple’s 2016 update, dubbed macOS, is even better. Apple always puts top-tier hardware in their computers. People often say, “Once you go Mac, you’ll never go back.” That’s not always true, but most Apple users swear by it. What’s not to love: The aluminum chassis does scratch a little too easily and the design does feel a little dated. Because Apple sources premium quality parts, it carries a premium price! Price: The base price of $1,999 includes only 256GB of flash storage. Go for the 512GB model instead that costs $2,499. The extra storage will help students wanting to install games, edit a movie masterpieces and store a bunch of video of their favorite TV shows or movies. If you like the specs of the MacBook Pro listed above, but don’t like that it’s an Apple product, consider the Microsoft Surface Book. It also starts below $2,000 but to get one with 512GB of storage, buyers will need to fork over $2,699. They’ll also get the same 16GB of storage and a dedicated graphics chip for almost any computing task one might want to do on this computer. Why it’s on the list: The Surface Book brings versatility that MacBook buyers don’t get. The screen pops off and becomes a large tablet with a beautiful high-resolution display. 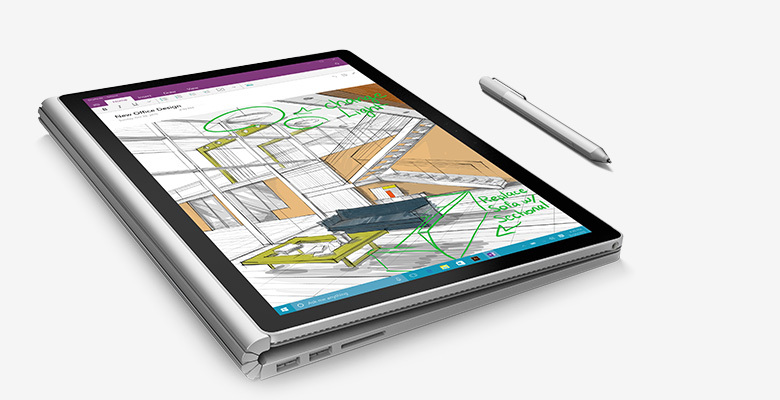 The awesome Surface Pen will help with taking notes, artwork, drawing out designs and precision pointing. 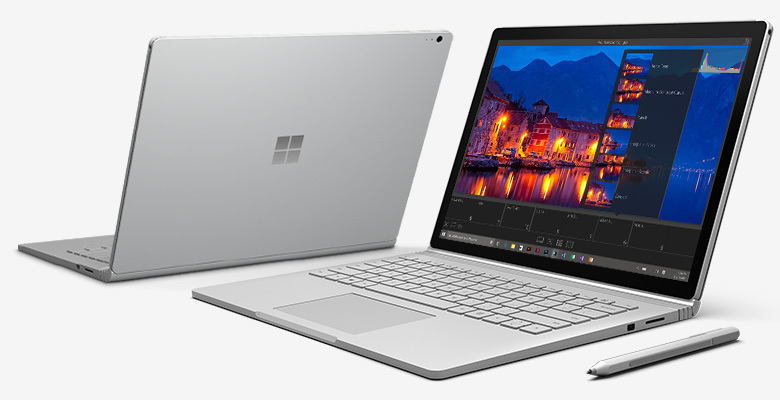 The Surface Book runs Windows 10, the best Microsoft operating system to date, according to many Microsoft users. 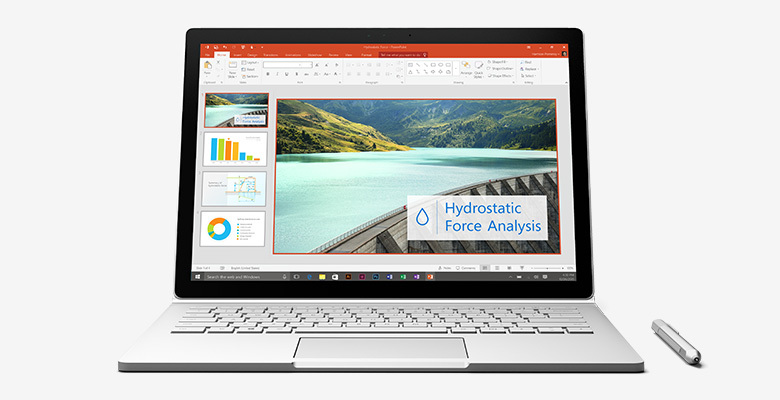 What’s not to love: The Surface Book costs more than most notebook computers, especially on the Windows side. The computer shipped with some annoying glitches that might still bother a few buyers and can always come back. It runs Windows 10. That’s a plus for some, but others hate the newer operating system. Price: This system starts at just under $1,500 but will cost $2,699 for the model most people will want to buy. Some people still want a high-end notebook, but can’t afford over $2000 for a premium notebook. Most new college students or Seniors in high school should really look at this price range. It’s high enough to get a great computer that will last four to five years. Check out the computers below for the sweet spot of back to school notebooks. 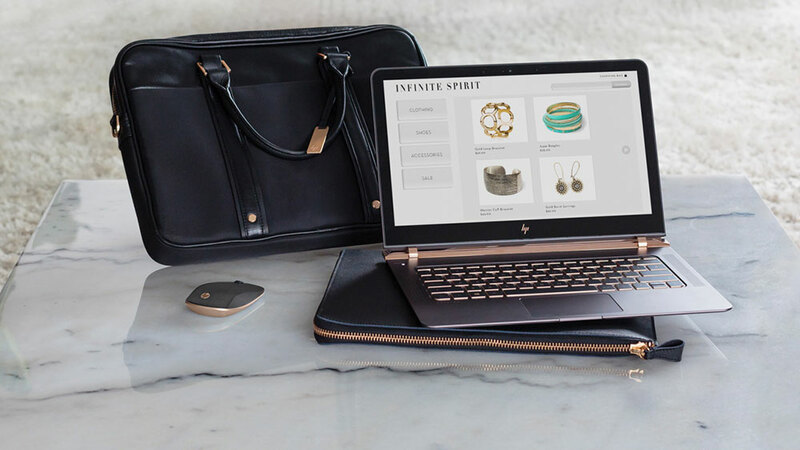 The HP Spectre 13 looks beautiful and carries a lot of power for a thin and light ultra-portable back to school notebook computer. It comes in an attractive black and gold trim. This machine is incredibly thin at less than .41 inches. I recommend the one with the Intel Core i7-6500U CPU. 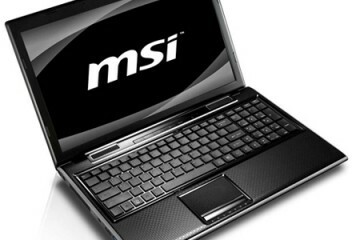 It has Intel HD Graphics 520 and a 13.3-inch screen. The resolution is 1920 x 1080 made with Gorilla Glass for a pretty strong and durable display. Why it’s on the list: This notebook looks beautiful with one of the most attractive and stunning designs of any notebook introduced in the past year. Other students will look on this computer with envy and desire. Add some power and great quality hardware and you get one of the best Windows 10 computers available. What’s not to love: The two Type-C ports are forward thinking, but will mean dongles for people using traditional USB peripherals. Also, this amazing design comes at a price. 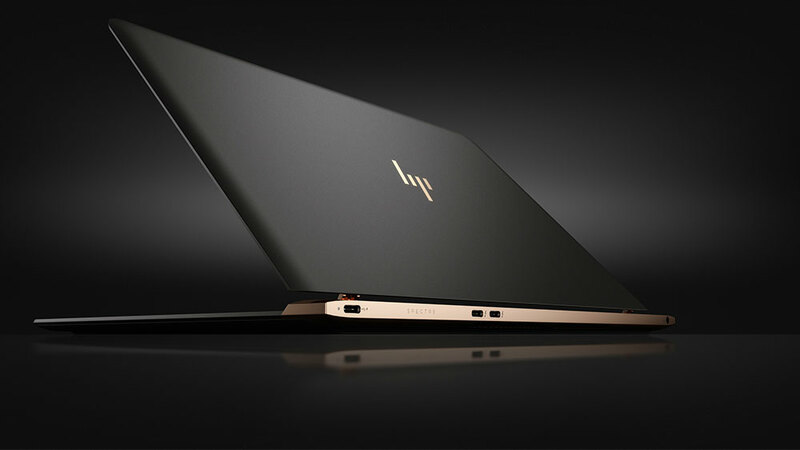 Price: The system starts at $1,169 with a Core i5 processor and 8GB of RAM. Max it out with Windows 10 Pro and 512GB of storage plus dongles so you can plug in HDMI, VGA and wired Ethernet into the USB-C port and you pay over $1,600. Size: 12.8″ x 9.03″ x .41″ weighing 2.45lbs. 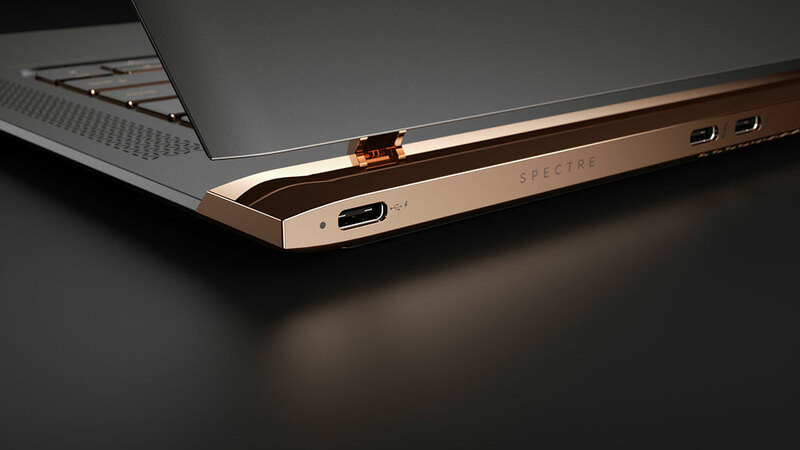 See New HP Spectre 13.3 & More Have Devilish Good Looks for more information. 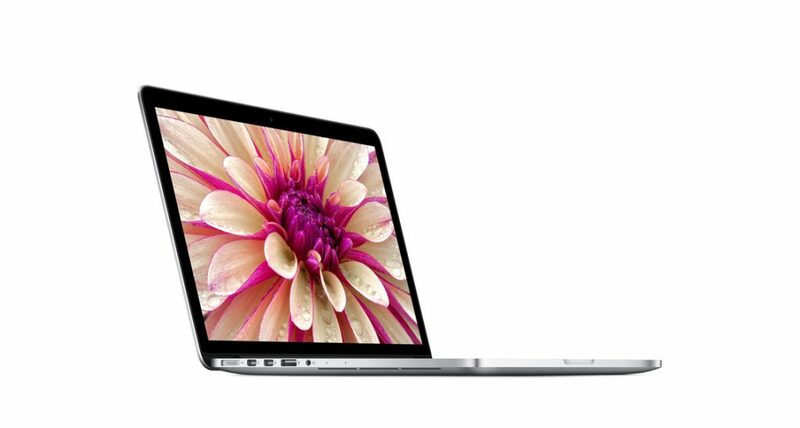 The 13-inch MacBook Pro makes the best choice for Apple fans in this price level. It’s the same machine as the 15-inch machine above, but with a slightly smaller display and weight. See the key details above. 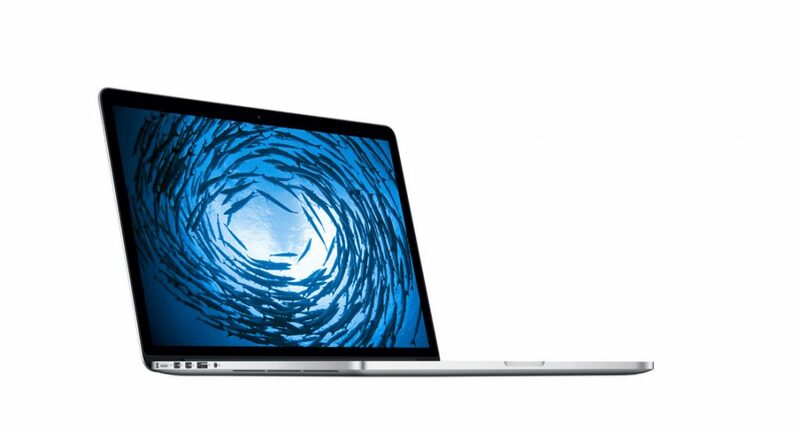 The 13-inch model follows the 15-inch model in most ways with only a few exceptions. 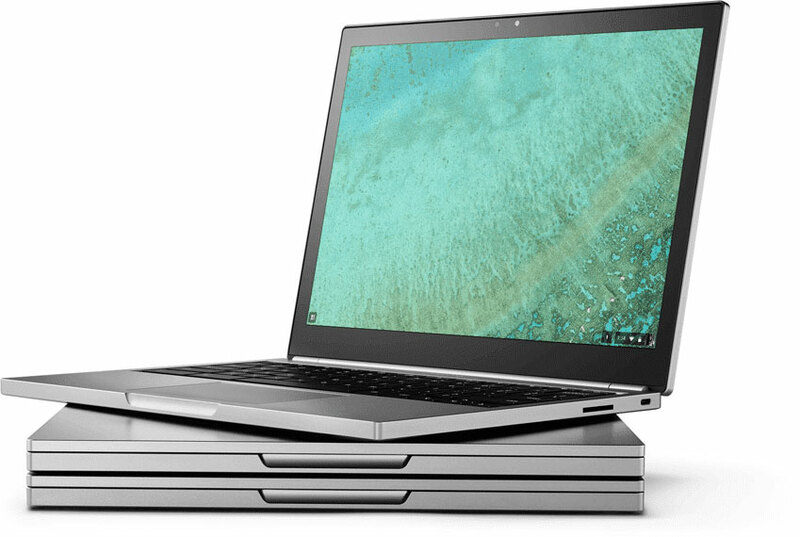 You won’t normally see us recommending the Chromebook Pixel at this price level because it’s so expensive and you’re still just getting a Chromebook. However, now that Google offers the Google Play Store on it so that users can install Android apps, it’s far more useful. The Pixel offers the best quality hardware for a Chromebook. Why it’s on the list: Some ChromeOS fans want a high-end notebook with more power than they can ever use and with great hardware. The Pixel has both and offers touch as well. It’s got a great keyboard and trackpad, arguably the best in class. ChromeOS is safer than Windows and even Mac. It’s far simpler than the other two major operating systems. Hackers can even run Linux on ChromeOS if they want to. What’s not to love: If you’ve never used ChromeOS remember that it’s a huge departure from the traditional operating system. While Chromebook lovers enjoy the simplicity and speed, those not used to the OS that primarily uses web apps, often struggle to do some simple things like video editing. The new compatibility with Android apps should fix most of these problems. Price: The Chromebook Pixel costs $1,299. Most students will likely look for a computer in this price range. It’s enough computer to do most of the work a student wants and needs to do at a low enough price that parents can afford. Again, make sure to see if you can get a discount for students from your college or from your store. People with smaller hands can type comfortably on the 11-inch MacBook Air. 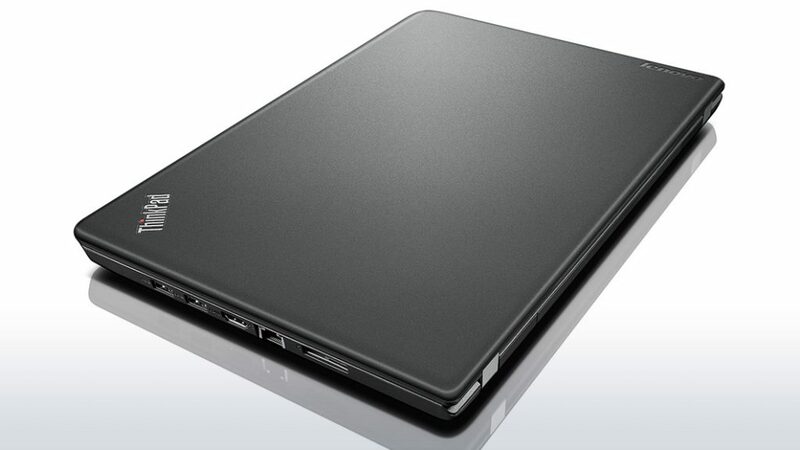 It comes with a nice 11-inch display and an attractive wedge-shaped aluminum design. They’re light and small with incredible battery life. The MacBook Air serves as Apple’s “low-end” machine so don’t expect as much power as the MacBook Pro, but it can handle more than people think. 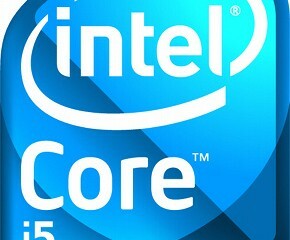 To keep the price below $1,000 select the Intel Core i5 processor and either 4 or 8 GB of RAM. The base level system comes with 128GB of flash storage. If you shop wisely, you might be able to find a refurbished system with 256GB of RAM still under $1,000. The lower 128GB is the bare minimum you want to use and that’s only if you also plan to carry a large USB hard drive or flash drive. Why it’s on the list: Apple lovers will enjoy using OS X and the new macOS 2016 update. 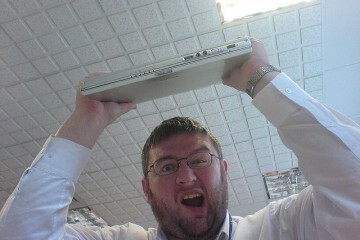 It’s the best way to get a Mac notebook for under a grand. Like the MacBook Pro above, the hardware’s great and will last a long time. What’s not to love: Aside from the cost, the soft aluminum scratches easily. 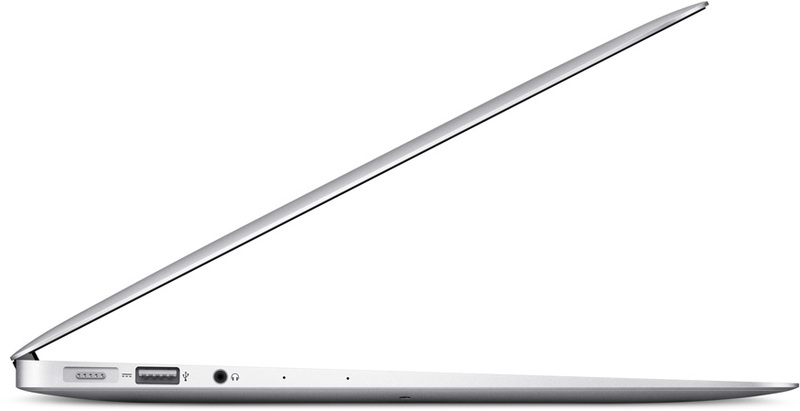 Apple doesn’t seem to put as much focus on the MacBook Air now that they offer the new MacBook. We left off the new MacBook because a lot of people hate the new keyboard, but people with big hands will hate the small keyboard on the 11-inch Air, too. 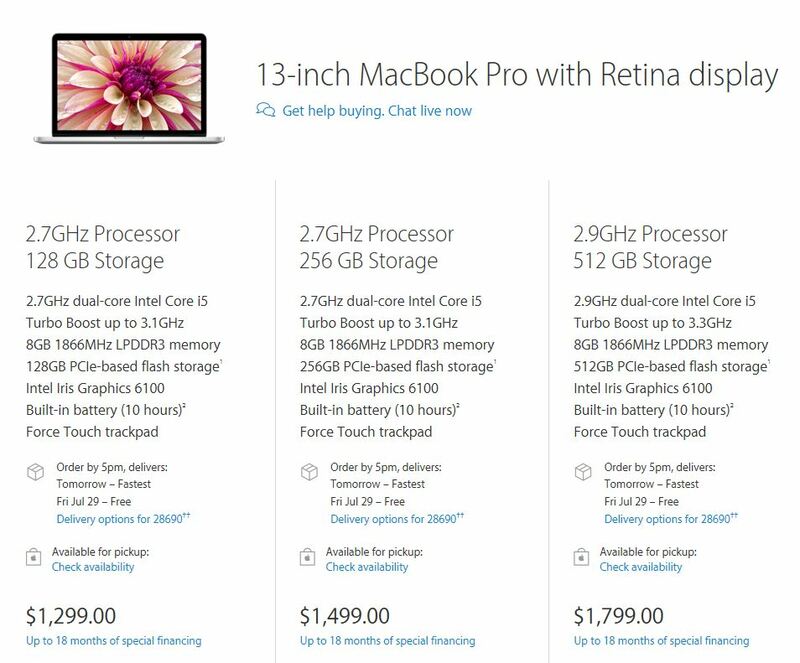 Price: The MacBook Air starts at $900 with only 128GB of storage. 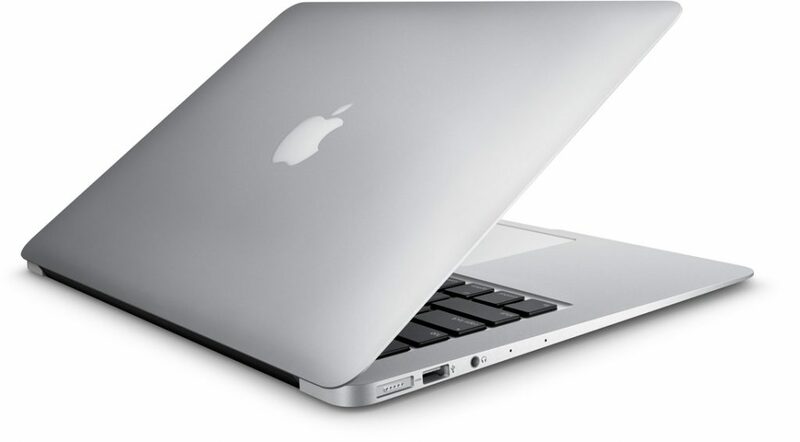 With a student discount, or if you look for a refurbished model, you might find the 256GB model for under $1,000. It retails for just over a grand. 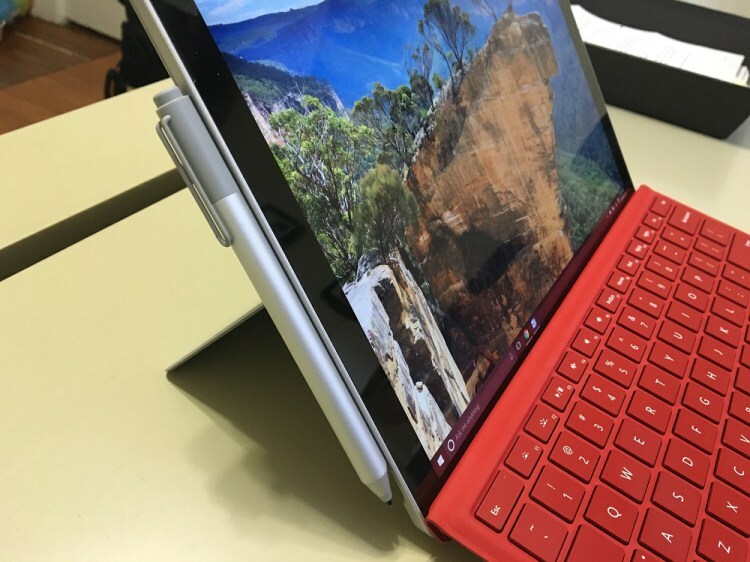 See Surface Pro 4 Review: Can You Use it as Your Main Laptop? for more information. 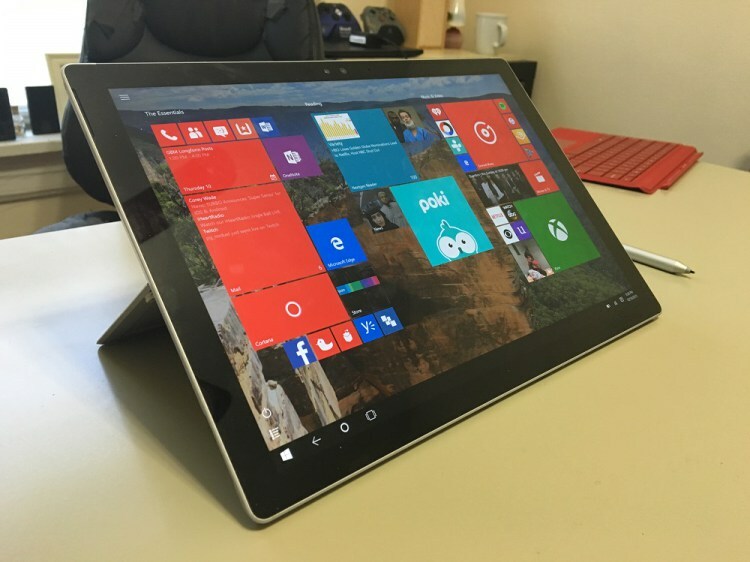 The best Windows 10 2-in-1 computer is the Microsoft Surface Pro 4. It’s a powerful system with a great form factor and excellent hardware quality. The display looks beautiful and includes excellent touch and Pen input that Microsoft put on the Surface Book listed above. This versatile and powerful tablet/laptop should really get a close look for students. The Surface Type Cover and Surface Pen are useful tools. The keyboard works well and feels comfortable. The trackpad is terrible, but you can use your finger or the Pen. Why it’s on the list: The Surface Pro 4 is the most versatile system on our list. 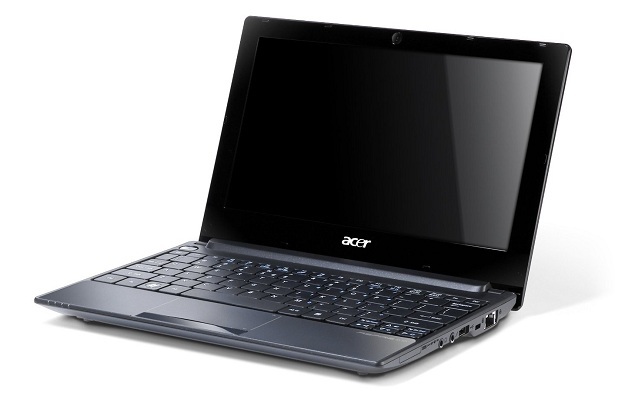 It works great as a laptop and you can use it as a tablet in class for note taking or for fun. The hardware’s just as good as Apple’s MacBooks. The Surface Pen inking is great! What’s not to love: To get enough storage the Surface Pro will cost over $1,000 and the Surface Type Cover trackpad is terrible. However, the touch and Pen input reduce some of the problem. Add a Bluetooth mouse and turn off the trackpad when connecting a mouse. Price: The introductory model costs $899 but buyers can get the faster and slightly more powerful version for $999. Lenovo always boasts one of the best keyboards in the Windows notebook world. 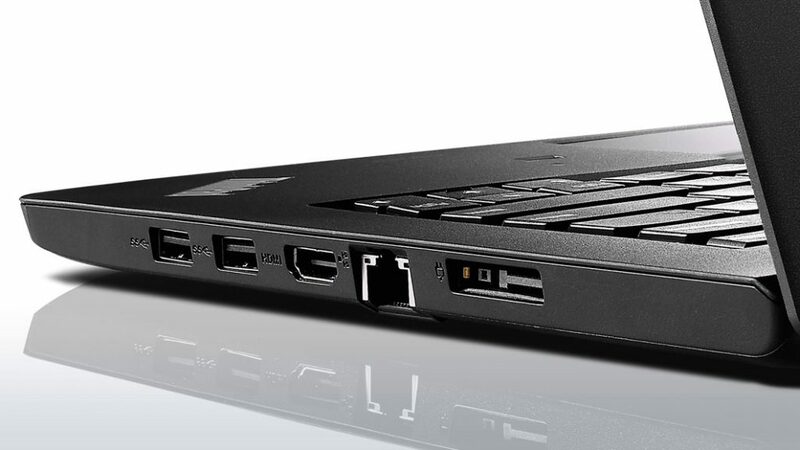 The Lenovo ThinkPad E460 delivers in a mid range laptop with a 14-inch display and the power to handle most tasks. 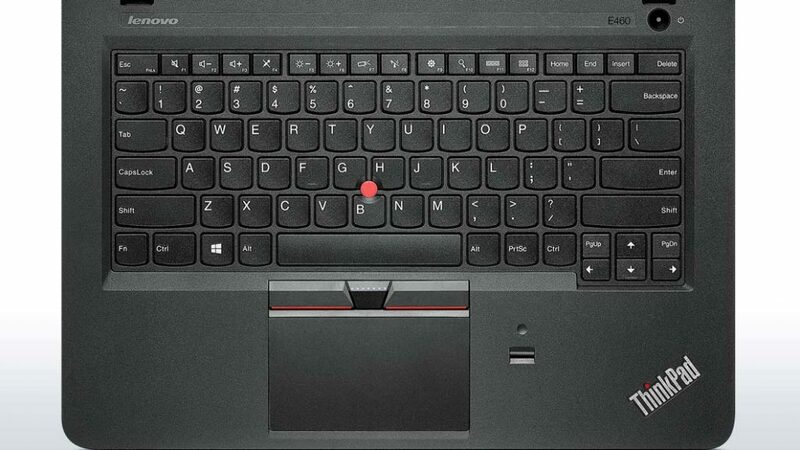 Lenovo’s ThinkPad E-series carries the traditional ThinkPad design with the same great keyboard and red nub pointing device. 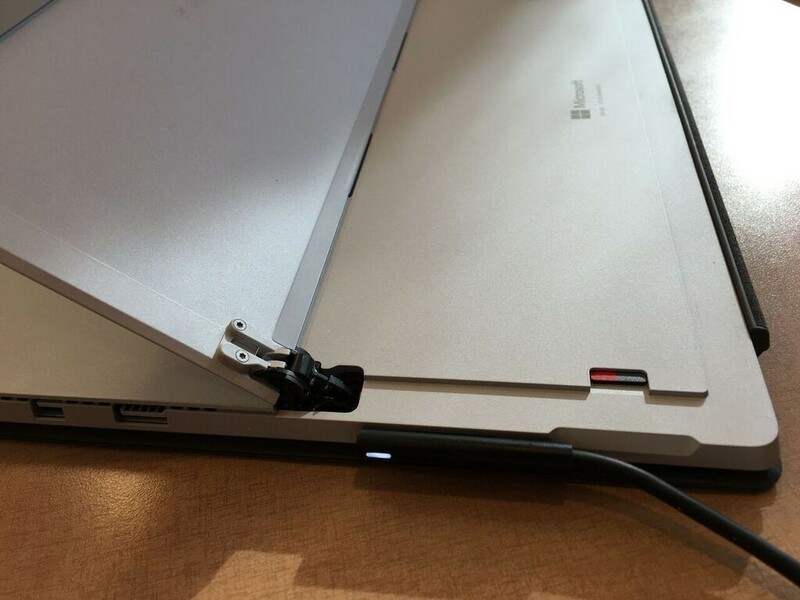 Why it’s on the list: The Lenovo ThinkPad E460 doesn’t look flashy and exciting, but it offers power inside a traditional notebook form factor. For some people, that’s the best option. It’s got long battery life, some power and a 14-inch screen. Those who hate Windows 10 can customize one with Windows 7 Pro 64-bit. Speaking of customizations, it has more options than most when you buy direct from Lenovo. What’s not to love: The base model only comes with a 500GB spinning hard drive, which will slow down the system and drain the battery quicker than an SSD. So be sure to pay the higher cost for an SSD. That leads to another complaint. The customization tool on Lenovo’s site only offers a 256GB SSD. Where’s the 512GB option? It will cost you an extra $140 for the 256GB model. If you’re tech savvy and don’t mind opening up the bottom of the computer, then you can replace the included SSD with a Samsung 850 EVO 500GB SSD for the $140-$150. Keep the base spinning hard drive and put it in an external drive case as a backup drive or put it in the SSD hard drive box to hang onto if you need to ship it back in for warranty repair. 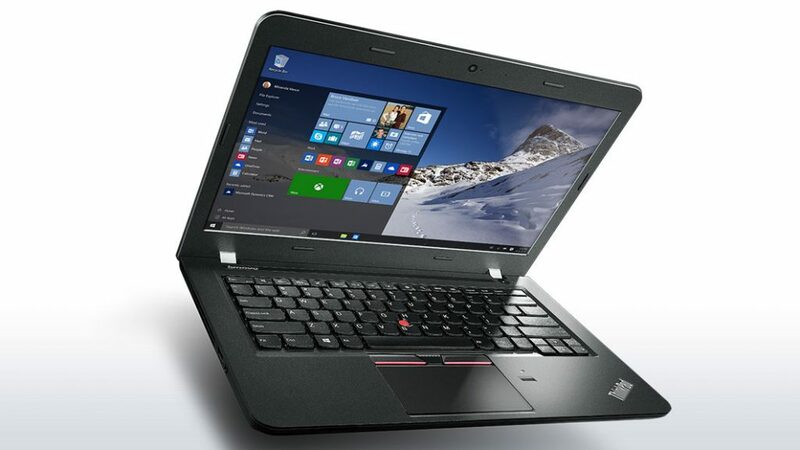 Price: The Lenovo ThinkPad E460 starts at $539 at Lenovo. Similar models cost less (E465 for $431, E565 for $467) so look at the other models to get exactly what you want. 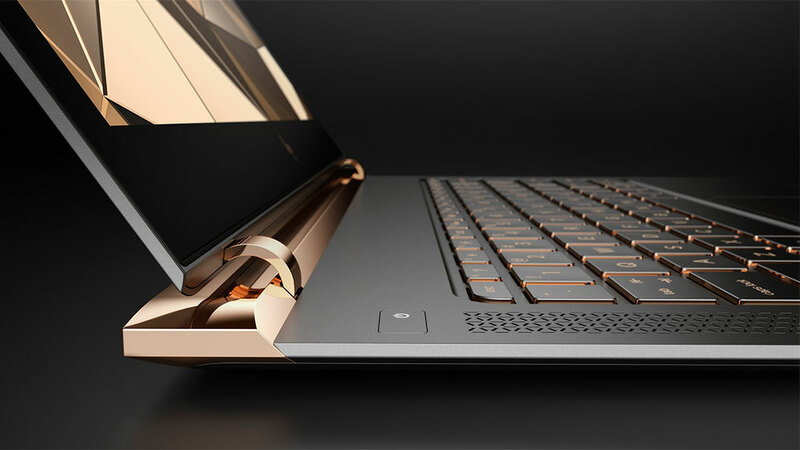 Configured with a 256GB SSD and the fastest processor available, a fingerprint reader and 8GB of RAM, the price up to nearly $1,000. The spec list below will show the options for the base model. Today you can get some great budget back to school notebooks for less than $500. We present a nice Windows machine and a good Chromebook for budget-minded buyers. This quality budget notebook comes with a 14-inch display and nice battery life. It’s not as powerful, so users should only look at this as a basic computer for writing papers, getting online and simple entertainment. You can play casual games and watch videos, too. Why it’s on the list: The Vivobook has an attractive design and decent specs for the price. You also get full 1080p HD, something almost unheard of at this price. Finally, ASUS put an SSD in this machine and it’s not the low-end 32GB or 64GB that the super cheap Windows notebooks often get. We picked the Signature Edition from the Microsoft Store. This means it won’t come with a lot of crapware bogging down the performance. It’s close to a plain vanilla Windows 10 experience. What’s not to love: While the Vivobook has an SSD, it’s only 128GB. That’s going to feel cramped for users after a while. Instead of an Intel Core iX processor we get a budget Intel Pentium N3700 instead. 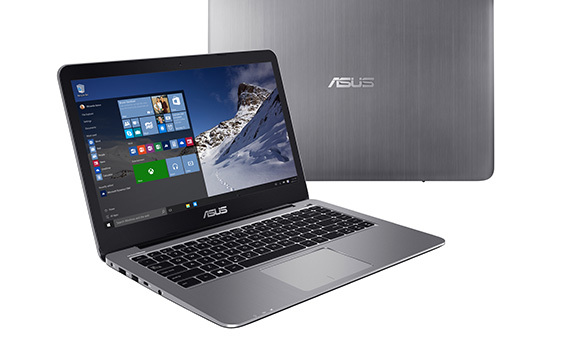 Price: The ASUS VivoBook E403 Signature Edition notebook costs $399 from Microsoft. As such, users can’t configure the machine. To get it directly from ASUS you’ll pay $10 less, but you’ll have to deal with the crapware. There are better Chromebooks available, but not more versatile Chromebooks. 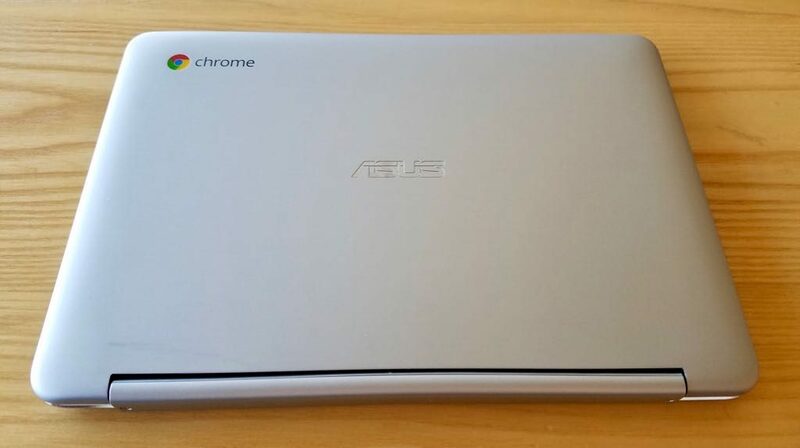 The ASUS Chromebook Flip got the Google Play Store first in the developer build of ChromeOS. 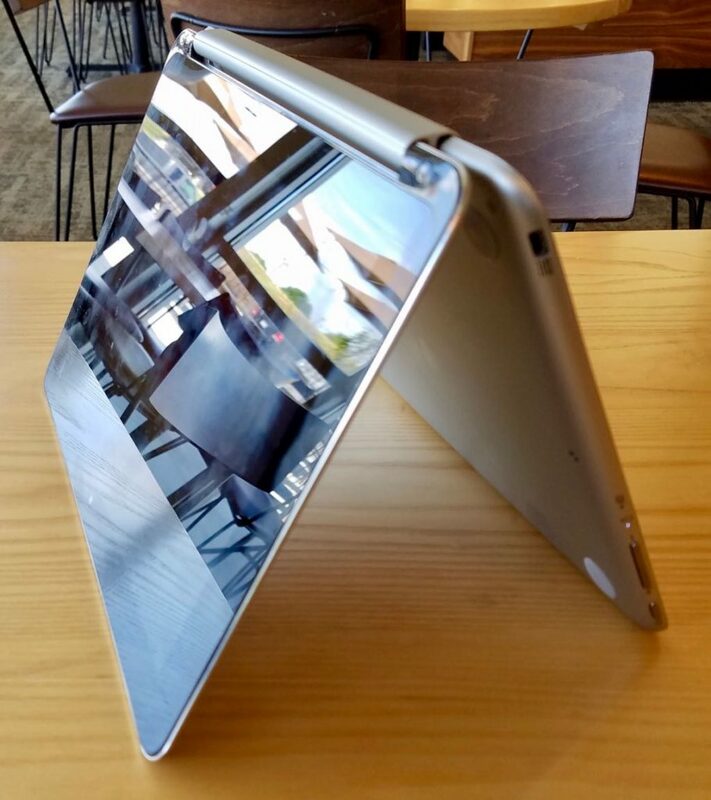 This is probably because it easily converts or flips into a 10-inch tablet. It has a nice aluminum design. 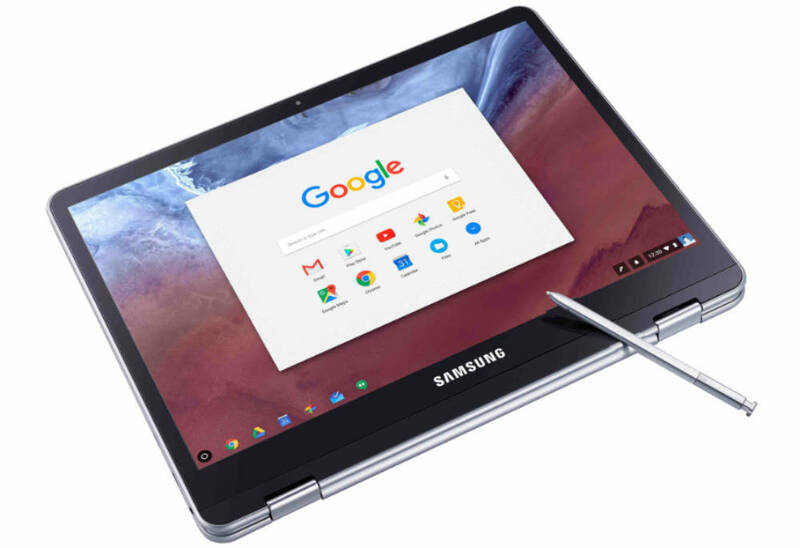 Why it’s on the list: Two things put this convertible Chromebook on our list. First, it becomes a decent tablet that students can easily take to class to take notes with the keyboard or a simple stylus. Second, it’s dirt cheap! 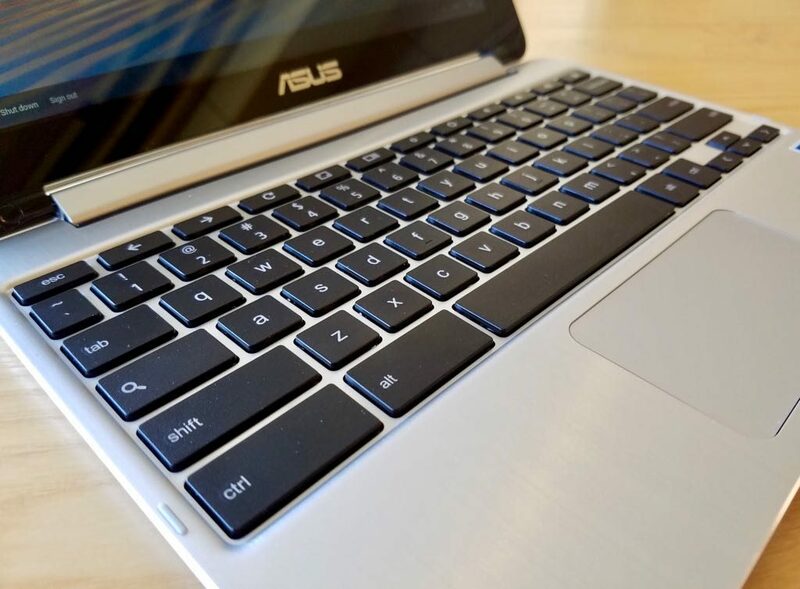 What’s not to love: As a notebook, the ASUS Chromebook Flip feels very small for people with big hands. 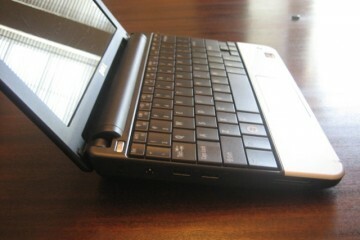 It also has a terrible, tiny trackpad. Use the touchscreen. Price: Splurge for the model with 4GB of RAM for $266. There’s a 2GB version for $249, but there’s no reason to give up the performance for just $17 savings.